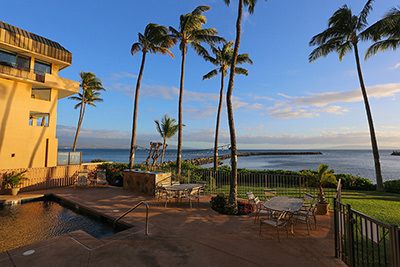 This complex is located in the quaint harbor village nestled between Maalaea Bay and the majestic West Maui Mountains. Enjoy the luxury of being miles from crowded resorts, yet convenient to all your most popular island activities.The Maui Ocean Center is next door, home to the Aquarium and an outdoor center with shopping and dining opportunities. Lounge by the pool, enjoy the gorgeous sunrises and sunsets or take a stroll on Sugar Beach, the longest stretch of white sandy beach in Hawaii; while watching the whales and turtles play! With its uniquely central location in Maalaea Harbor, this spot cannot be beat! Maalaea Harbor is centrally located for a quick drive to anywhere on the island — including Lahaina, upcountry and the resorts of Wailea.